Are your personal policies providing enough coverage to give you the protection you need? Auto, home, and other types of policies, such as motorycle and watercraft, have varying amounts of liability protection available - starting at very basic limits, with optional increases available to amounts that provide substantial protection. We can never be sure when something may happen that results in a lawsuit alleging negligence on our part. Protecting ourselves with liability insurance is a personal form of risk management. In addition to protecting assets such as investments, homes and cars, it can also protect your future earnings. 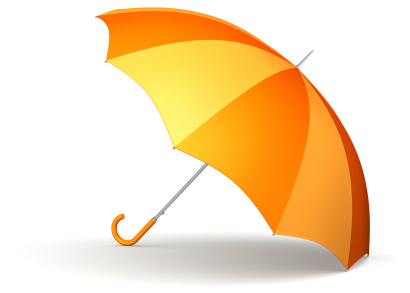 To qualify for a Personal Umbrella policy, you will need to maintain certain liability coverages on home, auto, motorcycle, boat, rental property and other types of policies. A Personal Umbrella policy generally provides at least $1 million in liability protection, and is an affordable way to give you added protection and peace of mind. Talk to an Explorer RV Agent today to discuss the benefits, requirements and low cost of a Personal Umbrella policy!